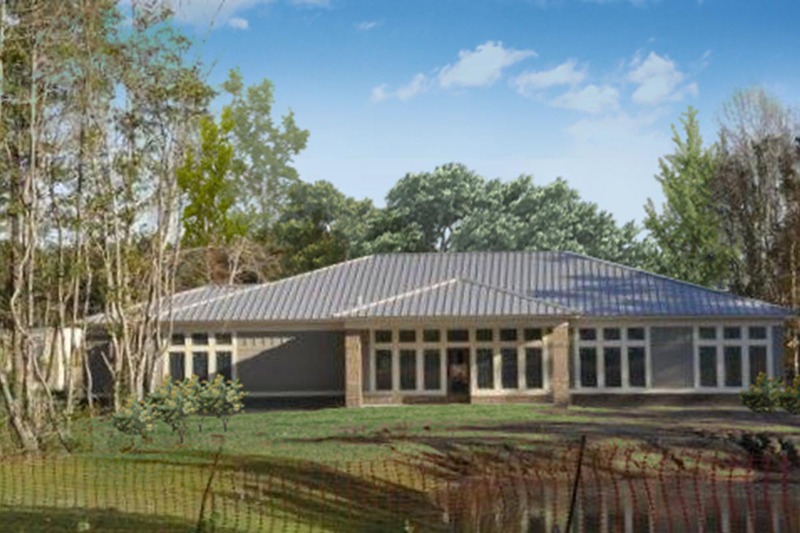 The Pawley’s Island community in Waccamaw Neck has long dreamed of replacing its small 20 year old library by creating a new civic locus that that provides opportunities for lifelong learning, support of critical educational goals and highlights the areas vibrant local history and culture. They seek a design that is at once expressive of forward-thinking solutions and with timeless references also reflect the South Carolina Lowcountry vernacular. 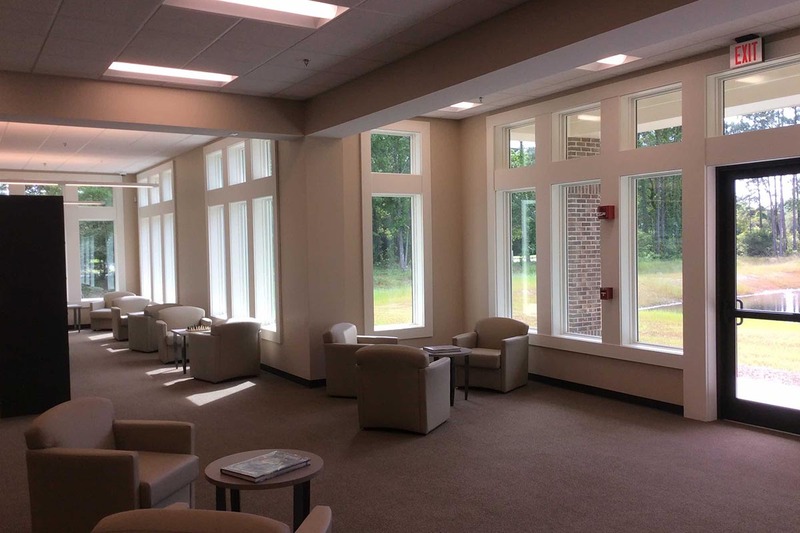 Envisioned as a vital hub of activity that is the “cultural heart” of Waccamaw Neck and reflect of the character of the local community, history, landscape and spirit. Waccamaw Neck celebrates a rich legacy that imparts as much from its unique ecological landscape as from its mix African-American Gullah art, language and music blended with 3 centuries of European-based heritage. 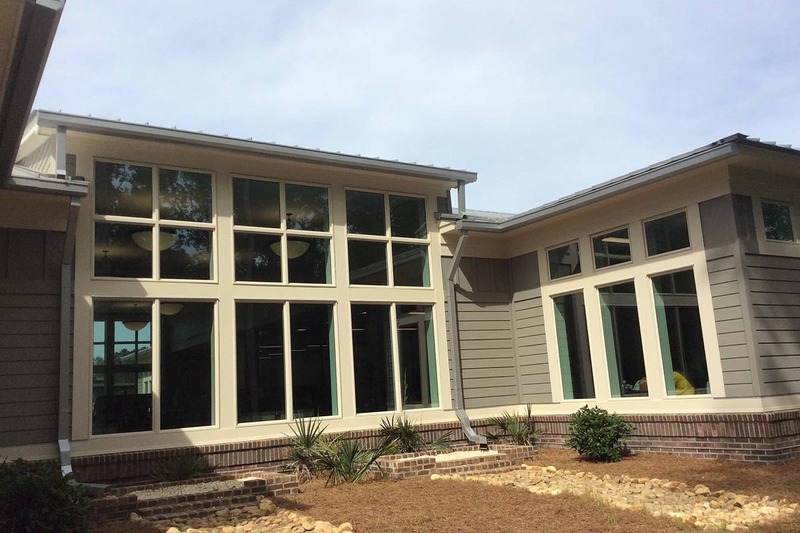 Unique to the programs is Waccamaw’s “Heritage Center” – a media-rich transformation of a local history collection that actively celebrates SC Lowcountry heritage and invites participation the making of history as much as the showcasing of the areas traditions, culture and the arts. Sustainability goals will be actively demonstrated with the buildings structure, material choices and siting. 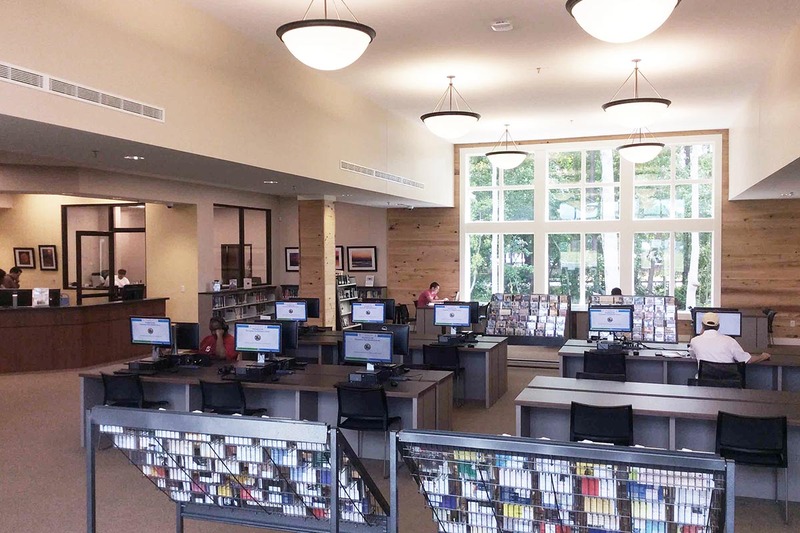 It preserves the natural tree cover and connects to area bike paths and walkways – linking the new 18,500 sf Library Center to the area’s middle school, municipal buildings, and area shops and establishing a new civic campus in the heart of the community.